/Design Tools - Other /What does the yellow alert symbol mean? 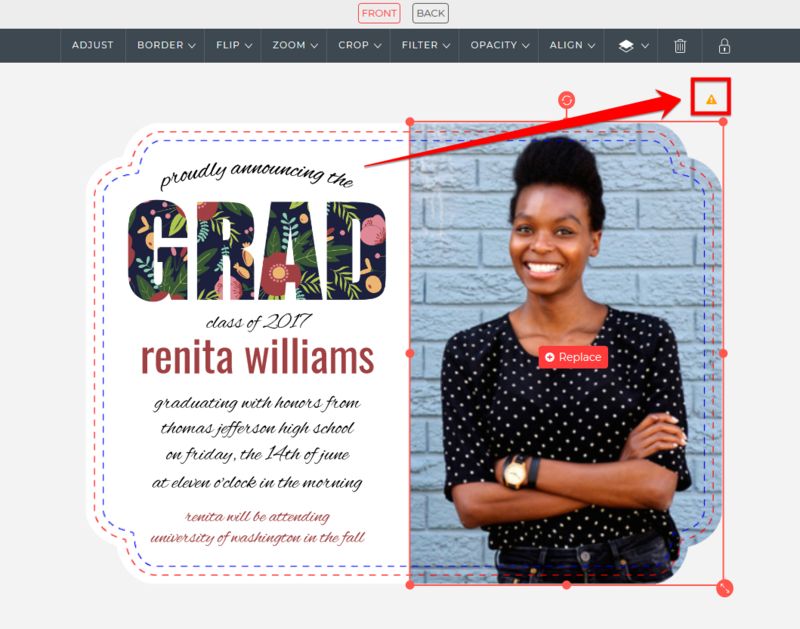 A yellow alert symbol on your design is a warning that part of your design (photo or embellishment for instance) is over the trim zone and may be cut off. This is okay, just make sure the important part of the photo is within the blue lines.